Food Costs > How Much Does a Can of Sardines Cost? How Much Does a Can of Sardines Cost? Sardines, small and oily, are saltwater fish rich in nutrients and you can find them almost in every grocery store packed in cans. 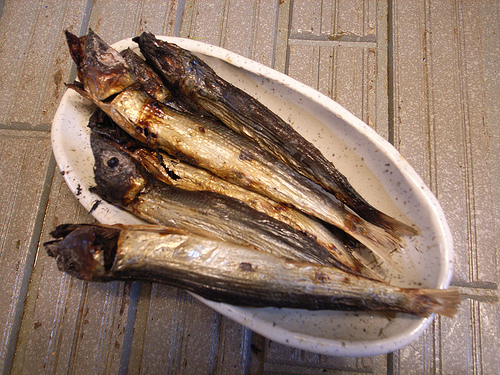 Sardines can also be bought fresh and then used for grilling, pickling, and/or smoking. Sardines are very rich in omega 3, which is known to reduce the risk of heart conditions; they also contain fatty acids. Sardines are usually sold in cans, often come flavored with olive oil or with a tomato sauce, and are widely available in grocery stores. They can also be available in other varieties as well, as dictated in our table below. Some foreign brands may be hard to find and can only be purchased online. On average, sardines can cost anywhere from $1 to $4 per can, and this will depend on the brand, quantity and store you purchase it from. King Oscar brisling sardines, a popular brand online, retails for about $3 to $4 per 3.75-ounce tin. Crown Prince sardines, a popular brand for those who like skinless and boneless sardines, will pay about $2 per 3.75-ounce box. Wild Planet sardines, another popular brand, retails for about $3 per 4.375-ounce container. Season sardines, yet another brand, retails for about $3 to $4 per 4.375-ounce can. A cheaper alternative, such as the Chicken of the Sea or Bumblebee brand, can cost less than $1 per can. Sardines can be eaten roasted, broiled, grilled or even straight from the can fresh. On a cracker or a tortilla chip. Mix with a blend of onions. Create a “tuna-like” salad, mixing mayonnaise, chopped pickles and celery. Put them inside a taco or sprinkle with lemon juice or olive oil. Mix with chopped tomatoes, oregano and rosemary. Sardines that are packed with extra ingredients such as mustard and olive oil are going to cost more than the standard sardine that is soaked in water. Expect to pay an additional $2 to $3 more for a can of sardines with ingredients. Dr. Axe always recommends purchasing fresh sardines over farm raised because farms often inject their fish with antibiotics and pesticides. For those who don’t like to eat sardines on their own, consider mixing in some vegetables with it. Common vegetables that have been found to be used in the Philippines with sardines include patola and upo. On top of vegetables, consider mixing them with noodles as well. Sardines mixed with noodles are known to be a delicacy around the globe. 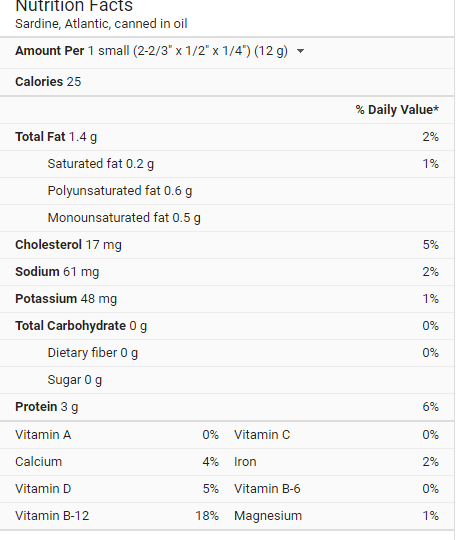 For those who want sardines for the health benefit, but don’t like the flavors as much, consider mixing it into a soup. There are many different soup recipes available that not only taste good but hide the sardine flavor well. Wendy Myers at Liveto110.com says the best sardines usually come from Spain and Portugal. Store sardines in a cool and dry place, like the kitchen cabinets, and pay close attention to the “sell by date” to keep the flavor fresh. What do sardines taste like? Depending on how they are consumed, sardines are known to be dense, oily and rich. Their tastes, if cooked properly, will be tender and not that fishy. Purchasing in bulk can often bring the costs down per can.